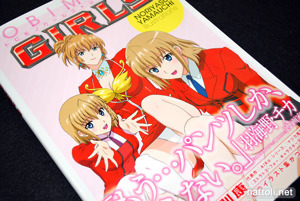 Tobimono Girls is 130 pages in length and A4 in size. 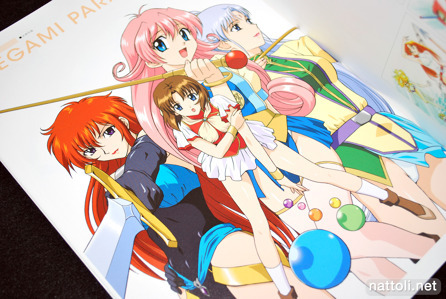 The book goes from his oldest works to his newest, starting with Eriko, the Legendary Idol and ending with the illustrations he did for the magazine, Hobby Japan. I've never seen Eriko the Legendary Idol (アイドル伝説えり子), but if I hadn't seen it in this book, I wouldn't have recognized it as Yamauchi's work. 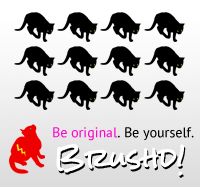 Definitely has that old school flair. This section includes 11 illustrations on 8 pages, so some of the images are tiled on the page. Agent Aika and the spin-off series make up the meat of this book. 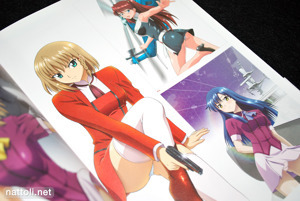 The original Agent Aika was an OVA series, so many of the illustrations in this section come from the laser disc covers and other media like that. 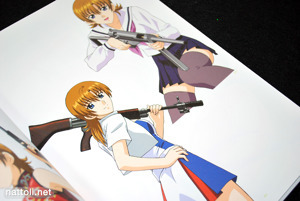 The Aika section has 40 illustrations total, over 18 pages. A lot of pages also have tiled images, but some are too small to appreciate in this section. Labyrinth of Flames gets a quick 4 pages, with 10 illustrations crowded altogether. 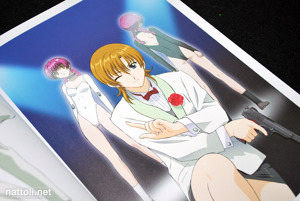 The updated illustrations from the DVD release are included too. The next 10 pages cover Najica Blitz Tactics. I don't know why, but I really enjoyed that show. It's kind of like a James Bond film, but one of the cheesy ones, like Moonraker. This section only has 11 illustrations (I really thought there would be more) but they all occupy at least half a page or are spread across two. The Stratos 4 section has a total of 33 images spread over 20 pages, most from the DVD covers and extras. I love the spacesuits for the Stratos 4 girls, but their regular school-type uniform designs are some of the most generic ones I've ever scene. But I bet they'd be quite easy for cosplay! AIKa ZERO and AIKa R-16 share 8 pages together, with AIKa ZERO receiving only two pages (with two out of ten images). 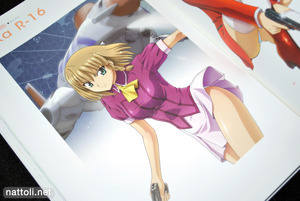 And that reminds me, at least three of the images in this book aren't safe for work, one of them being in the AIKa R-16 section, but that's really low considering the book has more than one hundred illustrations. The rest of the book consists of a couple of interviews along with a thumbnail index of the art work, and it's all in black and white. 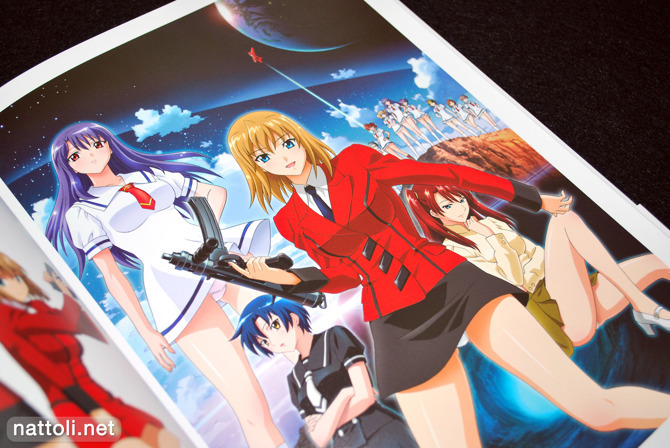 It's not too often you get an anime art work collection like this that really is all images. The presentation could have been better, with fewer pages of small and tiled images, but I think Yamauchi's designs have a simpler look than a lot of anime artists, so you don't really lose a lot of detail. Tobimono Girls is still on sale on Amazon Japan and retails for ￥ 2800. Lots of less than full page images, this disappoints me! I´ve seen some Legendary Idol Eriko, but I never associated the designs to Aika and the like. But, now that I have the info, I can see that the art style is essentially the same. Aahh thanks for putting a name to an art style I've long loved! 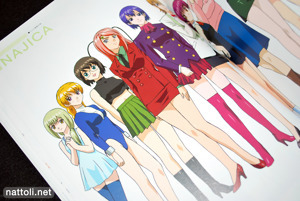 AIka was a favourite for me, still is... hooray for curvaceious woman pants!